We may be in a bit of a rut, but it’s a good rut. Since our last “Back to the Keys” post, we have taken the Big Kahuna twice more to our favorite Florida islands. Some 20 days back, (I know, I know, we need to keep this thing a bit more up to day) towards the end of the work week, we resolved to play hooky and took off in the very late afternoon on Thursday to get down to Bahia Honda State Park for a couple of days before my business trip to Chile the next week. 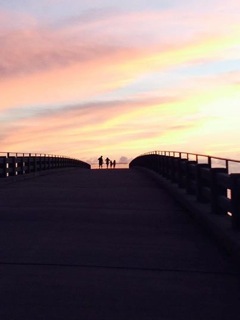 Our plan had been to spend the night at Long Key State Park, enjoy the sunrise on the ocean front, eastern facing RV spots, and then finish the run down to Bahia in the mid morning. A very late departure and horrific Miami traffic combined to interfere with that plan as we would not arrive before the ranger office closed for the night. As darkness settled in, we made a few quick inquiries and selected what tuned out to be a very nice private RV park, Fiesta Key RV Resort, in approximately the planned stopping point. It was affordable, particularly after the Good Sam discount, the check in was breeze, and the attendant very helpful in getting us positioned in a fantastic spot right on the water. This was the first time we have actually driven the bus at night, and the experience reinforced my desire to avoid it in the future, as well as the need for a headlight upgrade that a member of the Bus Nuts Online forum warned me would be necessary. Friday morning we made a leisurely departure after a stroll around the resort’s marina and beaches, arriving early for our one night at Bahia Honda State Park. A short while later the Nieves Clan joined us, this time with Abuela Provi in tow. 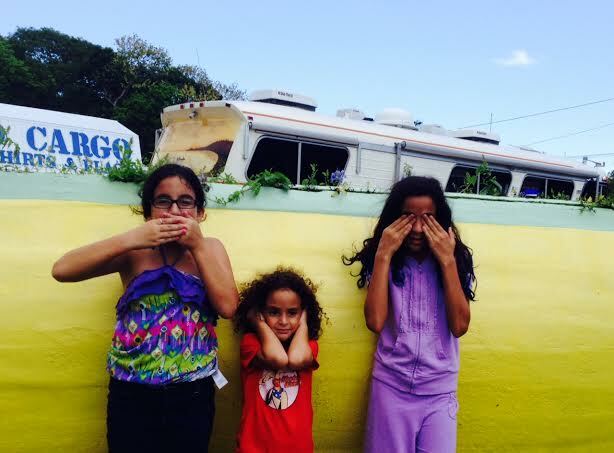 We had a great time, as we always do at this park, swimming, snorkeling, and perhaps best of all, turning the Nieves girls into eager geocaching addicts with the four hidden caches on the park grounds. The first three Ramblin’ Rose and I had previously found, so we were able to gently guide the girls so as not to make their first cache particularly painful, but the fourth, a new one for us, was a beast to find. After a bit of a hike in the middle of the blazing hot afternoon, seven of us searched for nearly half an hour before stumbling across the last cache. 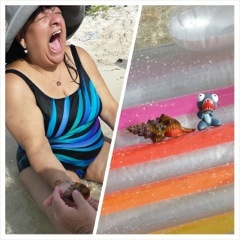 The snorkeling was a big hit with everyone since we were able to find several large conchs near shore. 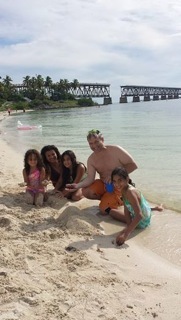 This was also the first time in Bahia Honda that we spent a good portion of the trip in the southeast Atlantic side beach, which was fantastic for wading in perfeclty clear water, allowing everyone to see the undersea life without the need for a mask and snorkel. This was too short a visit, but we had to get back home at a reasonable hour on Saturday so I could catch my flight to Santiago later that night. 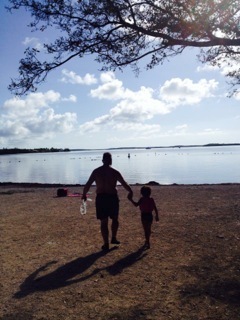 We resolved that we would try to get to Long Key the next trip if possible. Less than two weeks later, a discussion about a day trip to the everglades rapidly evolved into the firm decision to once more take the Big Kahuna on a full weekend jaunt, but this time perhaps somewhere closer as I simply did not feel up to another five hour drive. We explored three possibilities: The Everglades camping area at the Flamingo Center, Long Key State Park, or John Pennekamp State Park in Key Largo. Quick checks of the Reserve America website indicated that Flamingo does not take reservations this time a year, it’s walk in only, and neither of the other options had RV availability. Undeterred, we simply did what we have done every other trip to the state parks in the Keys: checked the reservation site everyday, multiple times a day, waiting for a cancellation and just as before something opened up the night before our departure; a one night stay at John Pennekamp. Confident that the second night would be available even if we had to do it as a same day walk in, we loaded up and headed out to our storage lot at Opa Locka Coast Guard Air Station, eager to make the short run down to Key Largo. We had done a great job getting everything prepositioned in the bus during the last trip, so this was sure to be a breeze. Unless of course you get all the way out to the lot, having purchased bags of ice and other provisions on the way, only to realize in horror that the keys to the bus are still hanging on the hook back at the condo. Doh! Fortunately we had left one bus window shut but unlocked, and with a bit of lifting and stretching we were able to get the door lock open, and rummaged in the bag of spare keys provided during out purchase and found an ignition key, though access to the storage compartments would be limited to only the driver side doors. Weekend saved! Friday morning traffic was very light, we picked up our good friends the Nieves at their home on the way, startling the entire neighborhood with our air horn greeting, and made it to John Pennekamp shortly after noon. After a quick set up, I was able to reveal my surprise: a four person inflatable boat with trolling motor, purchased two days earlier off of craigslist in anticipation of this trip. Apparently we will be calling her “The Coconut” in order to keep the Big Kahuna theme going. With the assistance of our temporary neighbor’s truck, I got it down the marina, inflated and rigged out for light cruising in the waterways and canoe areas in the protected harbor. The boat package included a very high quality Optima Blue Top marine deep cycle battery which did a bang up job of powering the cheap trolling motor and scooting us around the whole weekend. 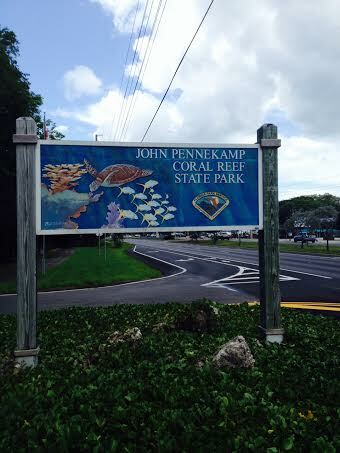 John Pennekamp is a beautiful park, and we were fortunate enough to see a number of sting rays and innumerable reef and mangrove fish. The swimming and snorkeling harbor was extremely calm with a large shallow area, though visibility is not particularly good. It is Florida during the summer, so we had to contend with periodic afternoon showers, but after each event the sun broke through. The evening bugs, mosquitos and no-see-ums, were rather horrific, as one might expect in any wet Southern area during this season, but as the sun set we limited our time outside just long enough to gather some twigs, start a small fire, and roast marshmellows for smores, something I don’t believe I have had in 30 years. On Saturday we were unpleasantly surprised to realize that not a single RV spot was opening up for our planned second night stay, so with resignation we packed up and headed out to find a private park nearby. Stopping in the ranger shack on the way out we were informed that there was a spot open, but due to a set of lost keys the owners of the rig currently occupying it were unable to vacate the spot, though that situation could change at any minute. We decided to hit a couple of geocaches and check back in later. After a short search in some nearby woods for the first cache, and a second one cleverly hidden outside the Largo Cargo souvenir shop (which offered a free shark’s tooth to all visitors, a big hit with the kids) half a mile up the road, we got the good news that the unkeyed RV was now keyed, and we could return for one more night in the Keys. We learned a few new things on this trip, including how easy it is to deflate and store the boat once you get the trick of it, how much more space is available under the bus when you leave behind the large containers of spare parts, and how much better we need to arrange the guest sleeping accommodations during our planned renovation. Accordingly, I have secured cheap public storage and will be putting all of the parts there later this week, and as a stop gap measure we will get a few narrow foam sleeping mats to lay out in “the bowling alley” center aisle of the bus for any future sleepovers involving more than four of us on a trip. Thank you again for allowing us to share another two weekends with you in the Big Kahuna. We always have a blast with you guys. I especially want to thank you for introducing my girls (and me) to fun and adventurous activities we probably never would have done without you. 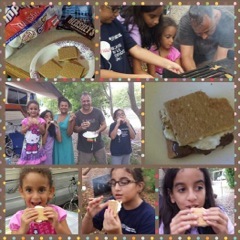 You are both such a blessing in our lives and I’m so happy to call you our friends, a part of our extended family …but no more hot dogs for a while. It would not have been the same trip without Nieves Clan! Cute kids! Love the pics. Keep on having fun!! What’s up with the condo?? ?